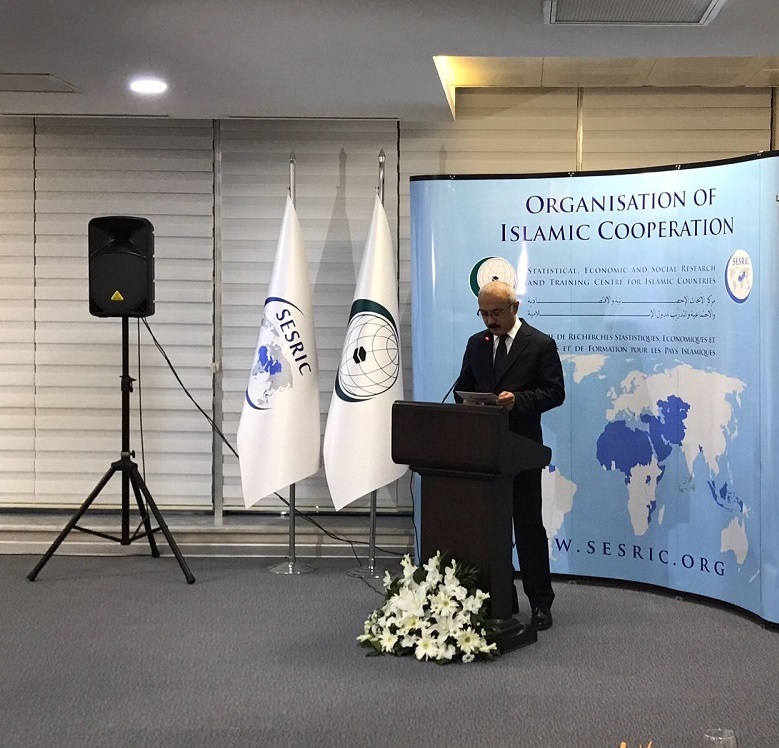 The Statistical, Economic and Social Research and Training Centre for Islamic Countries (SESRIC), organized a reception to commemorate the 48th Anniversary of the establishment of the Organisation of Islamic Cooperation (OIC) on 25th September 2017 at its Headquarters, in Ankara, Turkey. H.E. 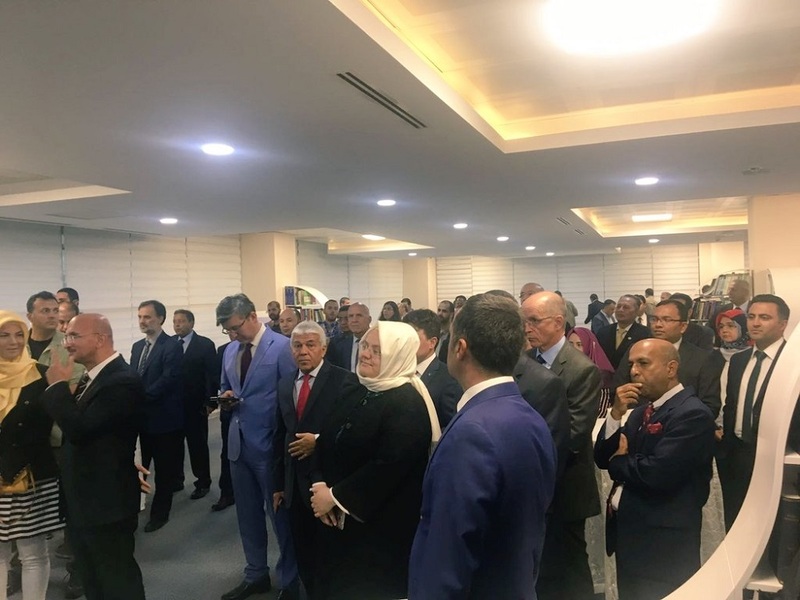 Lütfi Elvan, Minister of Development of the Republic of Turkey, Ambassadors of the OIC Member States and other countries resident in Ankara along with the Representatives of International Organisations and Turkish Institutions attended the reception. H.E. 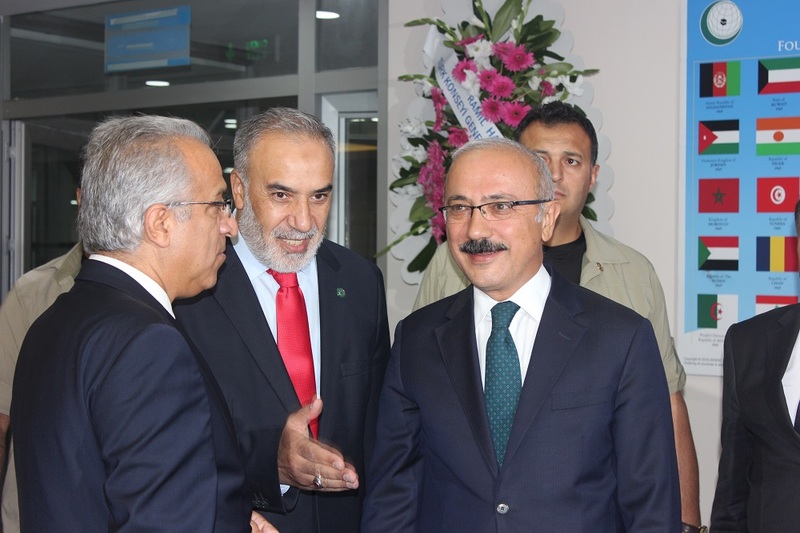 Lütfi Elvan, Minister of Development of the Republic of Turkey, delivered a speech on the occasion of the OIC Day Reception where he highlighted that the cooperation among Islamic countries is an accumulated result and a reflection of a longstanding need. He also emphasized that the establishment of the OIC was not a reactionary move; rather, it was the institutionalization of basic Islamic values such as consultation, solidarity and sincerity. 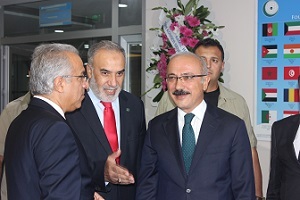 Ambassador Musa Kulaklıkaya, Director General of SESRIC, also delivered a speech on the occasion and highlighted the noble objectives and principles of the OIC and mentioned that the OIC’s 57 members account for one-sixth of the world’s land area and almost one fourth of the total world population, constituting a substantial part of the developing countries. 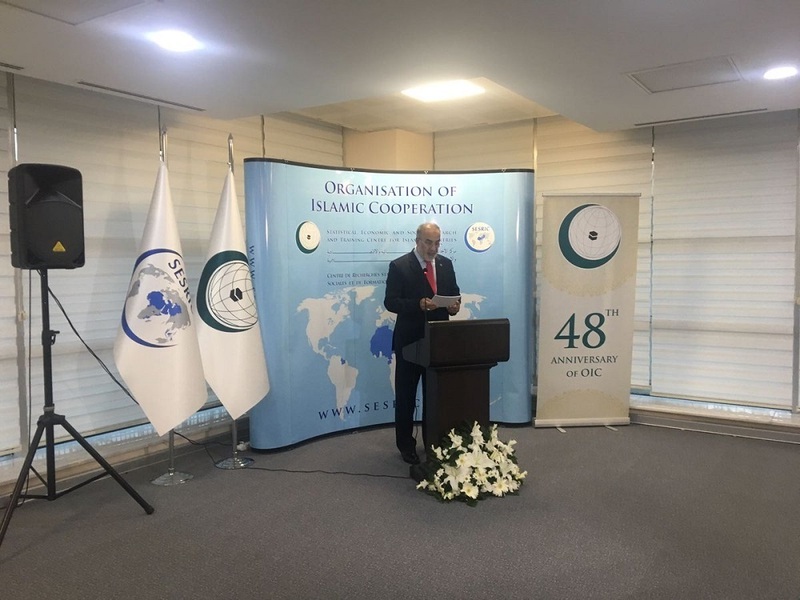 He also emphasized that, as a group, the OIC members possess significant human and material resources and have considerable potential for production and trade. Yet, Ambassador Kulaklıkaya mentioned that the OIC Member States are still facing many challenges in the 21st century and to address these challenges, the OIC has been trying over the years to utilize the resources and capacities of its wide range institutions (Standing Committees, Subsidiary Organs, Specialized and Affiliated Institutions). OIC, being the second largest inter-governmental organization after the United Nations with a membership of 57 states spread over four continents, was established upon a decision of the historical summit, which took place in Rabat, Kingdom of Morocco on 25 September 1969 following the criminal arson of Al-Aqsa Mosque in occupied Jerusalem.